Cliff Eyland is an artist whose art commission at the new Halifax central library reflects the changing notion of the modern library. The new Halifax Central Library officially opened in early December to a lot of attention. The $57.6 million project is a stunning example of contemporary architecture and a great example of a new wave of libraries. 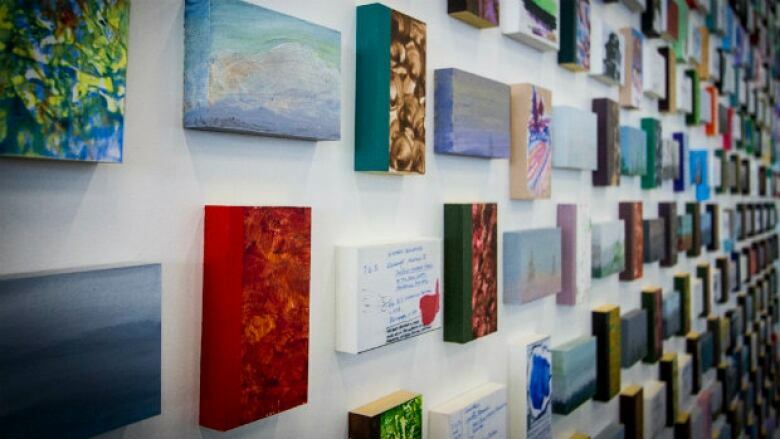 Cliff Eyland is an artist whose art commission at the new Halifax central library is 5,000 paintings all the size of 3" x 5" file cards, which reflect the changing notion of the modern library. Could 3D printing photographs change the way people who are blind experience memory?